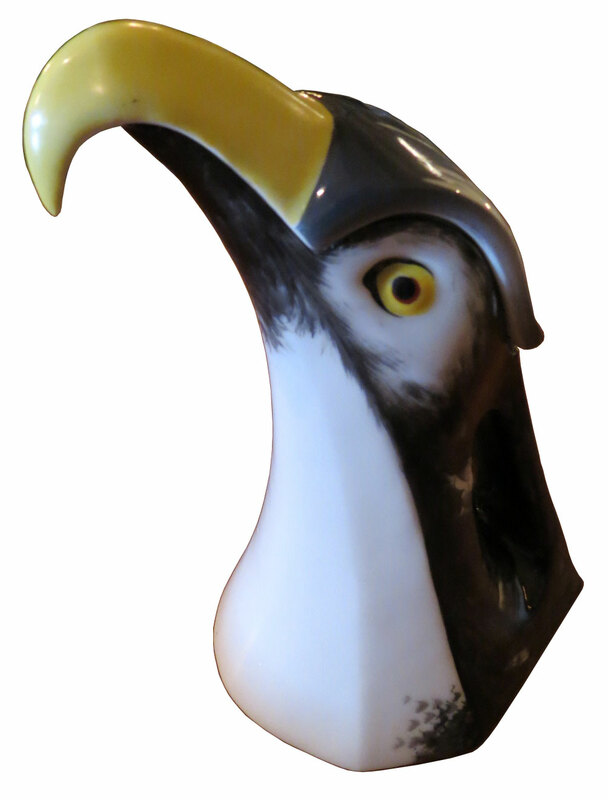 This French art deco porcelain eagle pitcher was designed by Edouard Marcel Sandoz (1881-1971) for the Haviland Limojes Company in 1916. The pitcher is known as “pichet-aigle” and is number 2 in the company catalog. The pitcher is pictured in “Les creations porcelaine d’ Edouard Marcel Sandoz” by Jean Claude Segonds on page 130. It is 9 ½” high.